Disponibili 5 colonne sonore di film con o prodotti da Michael Kitchen. Un film di Sydney Pollack. Con Meryl Streep, Robert Redford, Klaus Maria Brandauer, Michael Kitchen, Malick Bowens. 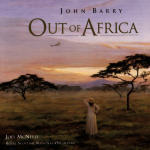 Titolo originale Out of Africa. Drammatico, durata 160 min. - USA 1985. Un film di Simon Curtis. Con Michelle Williams, Eddie Redmayne, Julia Ormond, Kenneth Branagh, Pip Torrens. 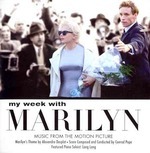 Titolo originale My Week with Marilyn. Biografico, durata 99 min. - Gran Bretagna, USA 2011. Un film di Martin Campbell. Con Pierce Brosnan, Sean Bean, Izabella Scorupco, Famke Janssen, Joe Don Baker. 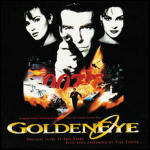 Titolo originale GoldenEye. Avventura, durata 130 min. - Gran Bretagna 1996. Un film di Michael Apted. Con Pierce Brosnan, Sophie Marceau, Robert Carlyle, Denise Richards, Robbie Coltrane. Titolo originale The World Is Not Enough. Avventura, durata 127 min. - USA, Gran Bretagna 1999. Un film di Fred Schepisi. Con Michelle Pfeiffer, Sean Connery, Roy Scheider, James Fox, Klaus Maria Brandauer. 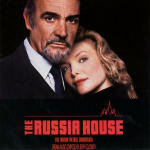 Titolo originale The Russia House. Spionaggio, durata 118 min. - USA 1990.